Create product fields which calculate a total based on the number of words in a Paragraph or Post Body field. 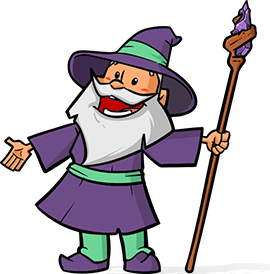 The Pay Per Word perk allows you to create product fields which calculate a total based on the number of words in a Paragraph or Post Body field. 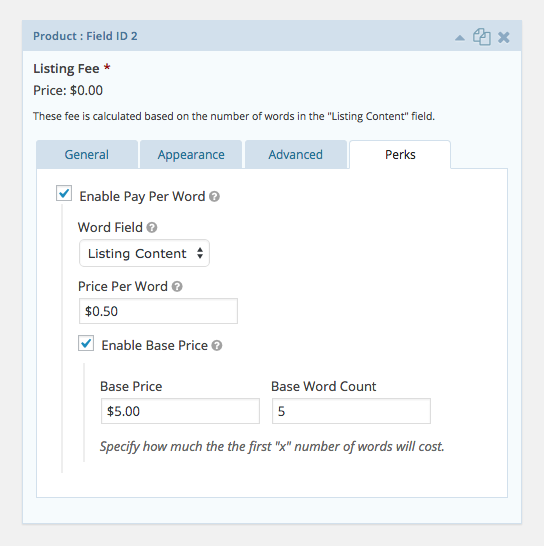 As the user types, the Pay Per Word functionality counts how many words have been entered into the specified Paragraph or Post Body field and calculates (based on the specified price per word) how much the Pay Per Word product will cost. Open up the field settings for the Single Product field for which you would like to enable the Pay Per Word functionality. Check the “Enable Pay Per Word” option to enable and reveal additional settings for this functionality. Select the Post Body or Paragraph field for which the number of words should be counted. Note: If you do not see your newly created field within the dropdown then save the form and attempt it again. Specify the amount each word should add to the product price in the Price Per Word setting. If you would like to enable a base price (a set price for the first “x” number of words), check the Enable Base Price option. Specify the Base Price which is how much the first “x” number of words should cost. Specify the Base Word Count which is how many words are included in the Base Price fee. Fixed issue when TinyMCE was not enqueued. Fixed issue where prices were not formatted correctly in the field settings.